Reluctantly we left Hoi An (old town) to explore the beaches of Da Nang. Da Nang was only about an hour away and the trip passed the fabulous Marble Mountain, which we also wanted to visit, so we decided on taking a taxi that would wait for us so we could stop and do some exploring. Awesome move. 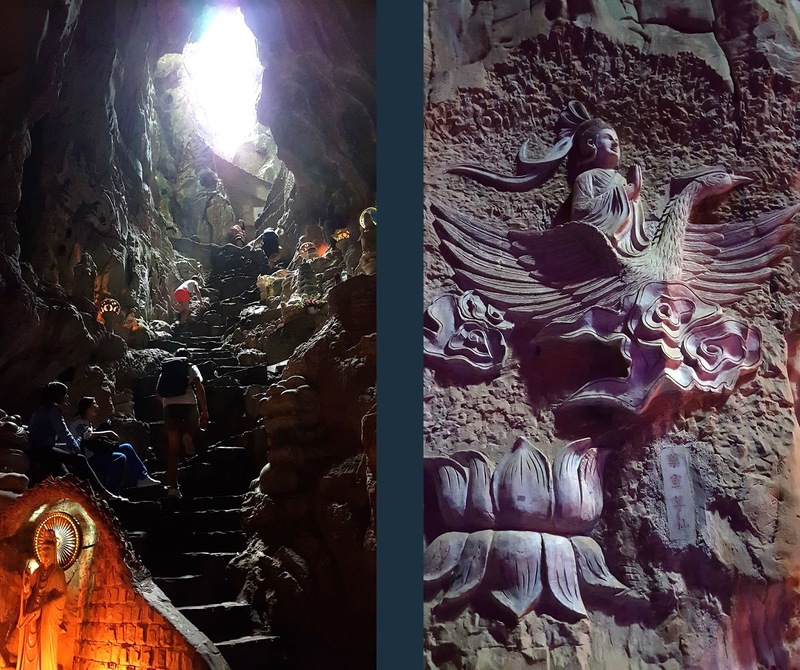 Marble Mountain is a cluster of five mountains named after the elements and the main tourist one, Thuy (water), contained some jaw dropping caves full of Buddhist carvings and icons. 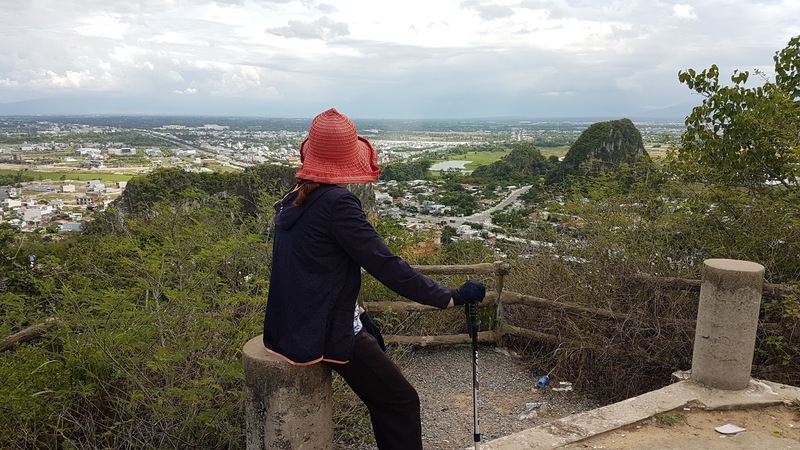 Get your walking shoes on and allow a couple of hours to explore the multitude of caves, walking trails, temples and gardens scattered across this mountain. 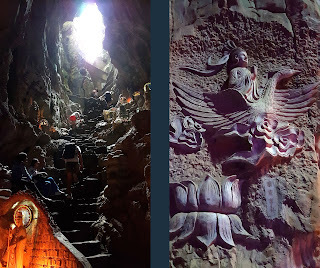 Huyen Khong cave was my favourite as the scene opens up before you on entry, hugely expansive and high with a beam of light coming down from a hole in the top to illuminate majestically the sculptures and temples within. Just outside is a rest area before heading to the stairs of the highest peak of this mountain. Elizabeth still suffering with her broken toe and using my hiking stick as a cane attempted to get to the top. As the steps became endless, steeper and less defined she questioned her ability to make it and sent me off ahead to see how much further. I sneakily kept finding better viewing spots higher up, if she could just get that far, until finally I reached the top. The view was breathtaking so I hurried down to share the news, which spurred Elizabeth on to make it to the top. Well worth the effort! Just a few words of warning, The lady selling the tickets for the elevator ride up tried to tack on an expensive map without telling us, but we had been forewarned, and she quickly retrieved it once we complained. 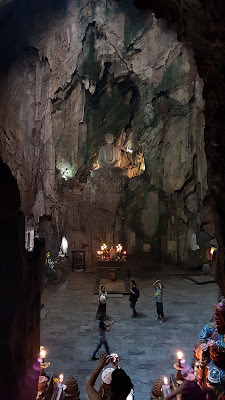 Also the famous cave here is the Am Phu Cave and it costs money to get in and is not that good, very ostentatious and fake looking with bright lights done up for tourists. If you make it to Huyen Khong cave and only have limited time I would skip it. Finally we made it to Da Nang, after exploring for an hour longer than we told the taxi driver. It was a large city, and we are generally NOT big city people, but it did have a few attractions for us. The beach of course, which was walking distance from our hostel and where the water was always warm and the ocean full of people. SOOOOOO relaxing and many friendly people. Also the Dragon Bridge that crosses the Han River and is, surprise, surprise, constructed in the shape of a dragon. 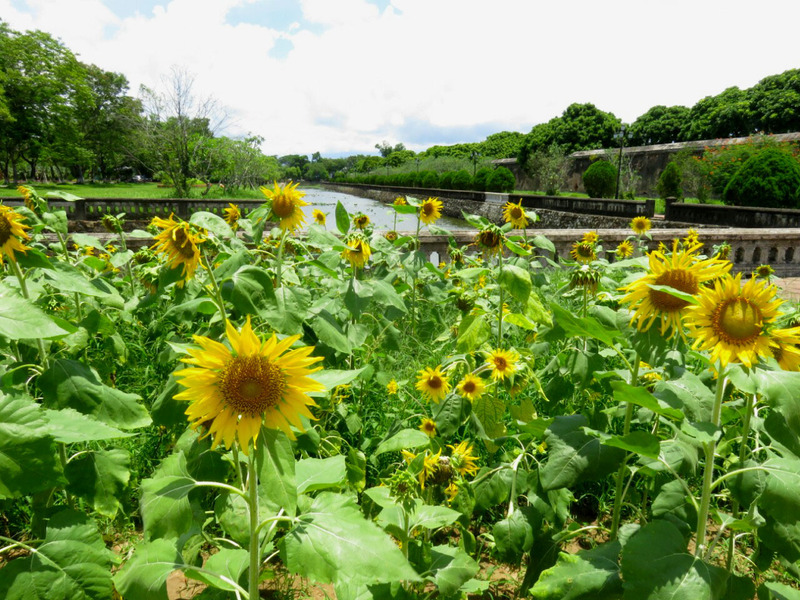 It was a long walk from the hostel but an impressive structure with some nice areas along the river. Apparently on Saturday and Sunday nights there is an impressive show of fire breathing and water blowing but we came mid week and were not prepared to wait that long. 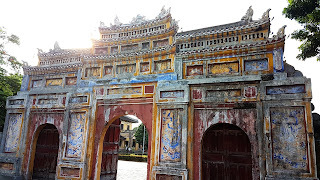 So after a few days of swimming we packed up and headed for the Imperial City of Hue. The Imperial City is a walled palace within the larger city of Hue and is its most impressive attraction. 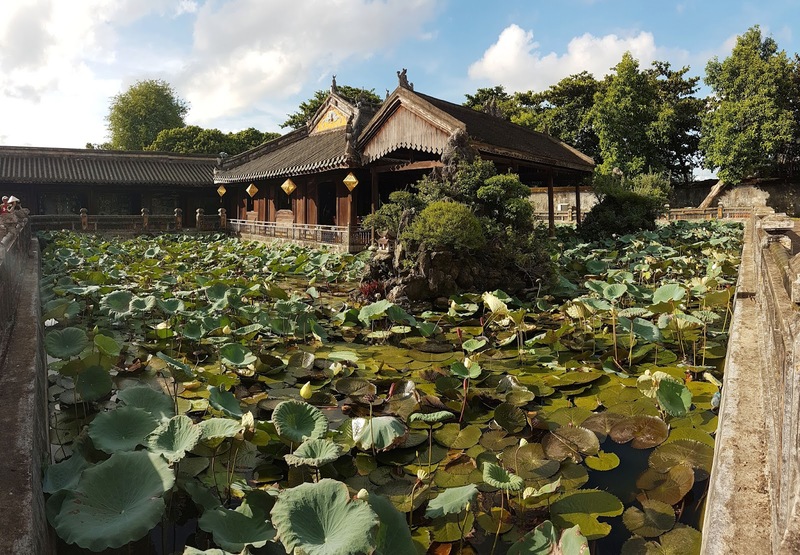 Building started in 1804 when Nguyen Anh took control of Vietnam, proclaimed himself Emperor and started the Nguyen dynasty. 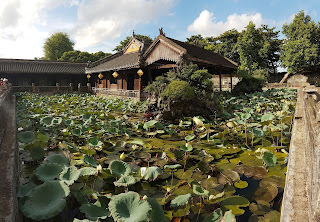 It was heavily damaged during the Vietnam war with the US but is still a pleasant day out with plenty to see. Lots of beautiful carvings and paintings, partly restored buildings, gardens and lakes. We spent a whole day there and left just as it was starting to rain. 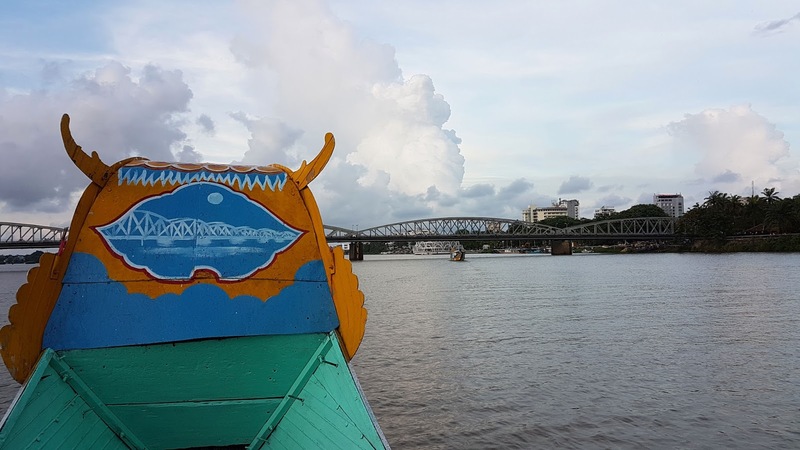 We wanted to do a dragon boat ride on the river but as it was getting late we tried to find transportation. We settled for one of the recommended taxis after a tuk tuk driver tried to charge us a small fortune. We were unlucky with him as well since my phone GPS told me he was driving us the long way around. I told him I knew what he was doing but he still went a bit out of the way and then took us to a dragon boat company that he knew. It was expensive and short but a pleasant ride nonetheless. Long story short, be careful here, it seemed a bit dodgier than most of Vietnam. Time to move on to one of our longest journeys so far, an overnight train to Hanoi, followed by a long bus ride to Sapa and the highest mountain in Vietnam.